Definition at line 26 of file UploadStashException.php. Exception | Throwable | null $previous The previous exception used for the exception chaining. 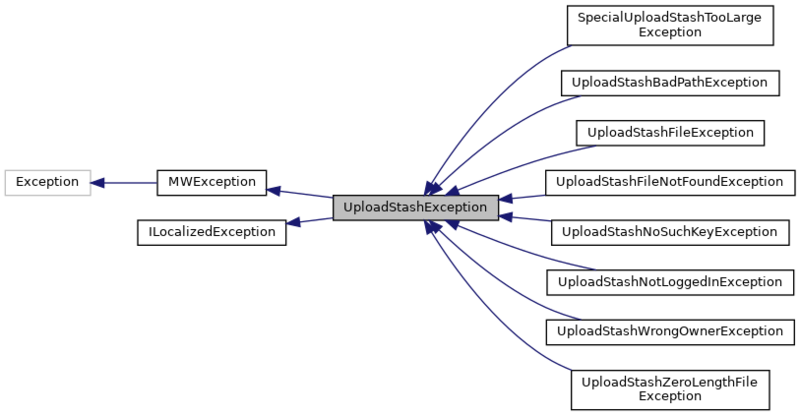 Definition at line 36 of file UploadStashException.php. References $code, $messageSpec, getMessageObject(), and Sanitizer\stripAllTags(). Definition at line 45 of file UploadStashException.php. Definition at line 28 of file UploadStashException.php.